The first international players have returned to the Ciutat Esportiva Joan Gamper, signalling the end of their national team duty. André Gomes and Jasper Cillessen joined the other five available first team players: Sergi Roberto, Paco Alcácer, Denis Suárez, Aleix Vidal and Nélson Semedo. 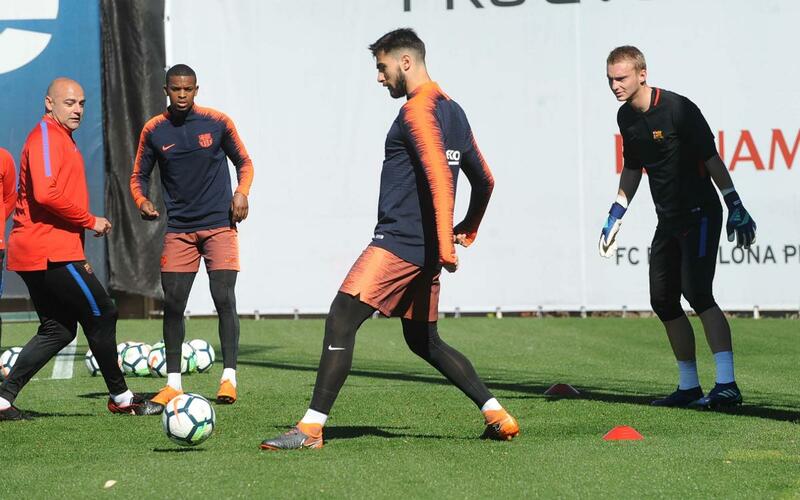 Wednesday’s session took place on the Tito Vilanova pitch and Ernesto Valverde also called upon Barça B’s Carles Aleñá, Cucurella, Martínez, David Costas, Palencia, Morer, Carlos Pérez and Jokin Ezkieta. This second session of the week had Sevilla in mind, a game that will be played on Saturday, at 8.45pm CET and will mean the return to League action after the international break.